Cabinet reshuffle: Fewer ‘dears’ represented in David Cameron’s Government Evening Standard The reshuffle has cut female representation in David Cameron’s Cabinet from five to four, as Caroline Spelman and Cheryl Gillan were axed and Baroness Warsi lost her full membership. And the overall shake-up of Government posts, due to be completed today, will leave the Prime Minister no closer to his stated aim of making one-third of all ministers women. Cabinet reshuffle summary: Critics say ‘too white, too male and too rich’ Metro In the initial reshuffle of his government, the prime minister booted out the only ethnic minority minister, Baroness Warsi, who lost her position as Tory party co-chairman. He trimmed the number of women from five to four, while surrounding himself with the wealthy and Oxbridge-educated. Justice secretary Ken Clarke was ousted in favour of hardliner Chris Grayling, while new chief whip Andrew Mitchell was brought in to woo the right wing. David Cameron under-fire over cutting women from cabinet Metro‎ The prime minister appears no closer to meeting his target, first declared four years ago, to have women in a third of ministerial posts. Caroline Spelman and Cheryl Gillan were axed as environment and Wales secretaries, while Barones Warsi lost her co-chairman role and full membership of the cabinet, although she will still attend meetings with a foreign affairs and faith brief. David Cameron is failing on gender equality in government – but then, so is … Telegraph.co.uk (blog) All things considered, it was a half-decent, if unremarkable, reshuffle. Prime ministers only really make major changes to senior members of their team in one of two circumstances. First, if they are in a serious political mess, and they have to do something dramatic to try and alter their fortunes. Or second, if they are in such strong control of events they have the luxury of dispensing with the petty politicking, and have the freedom to caste a cabinet in their own image. Shapps denies Cameron’s Cabinet has too few women ITV News Grant Shapps, who replaced Baroness Warsi as the new Conservative Party Chairman, denied opposition claims that David Cameron has a “blind spot” in regard to women in his Cabinet. Cabinet reshuffle: The political revamp that many see as a cooling of … Evening Standard While the Prime Minister has brought four women from the 2010 intake – Esther McVey, Anna Soubry, Liz Truss and Helen Grant – into junior ministerial roles, it is thought that today’s reshuffle will do little to redress the gender imbalance in government. Women ministers Caroline Spelman, Cheryl Gillan and Sarah Teather were among the most prominent casualties of today’s shake-up, and Mr Cameron is no closer to his goal of making one-third of ministers women by the next general election. Reshuffle: David Cameron Sacks Three Women From Cabinet – So How’s That Women Trouble Going? 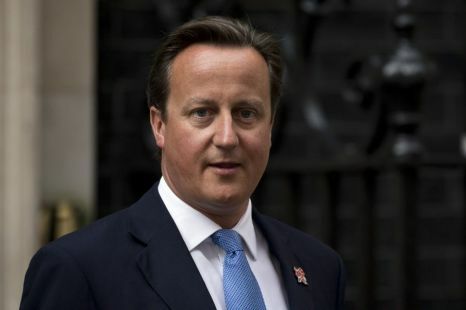 www.huffingtonpost.co.uk David Cameron sacked 60% of the women in his Cabinet on Tuesday morning. At the top of government, Welsh Secretary Cheryl Gillan, Environment Secretary Caroline Spelman and Conservative Chairman Baroness Warsi all left their posts – with two ministers, Maria Miller at DCMS and as minister for equalities and Theresa Villiers at Northern Ireland, being promoted. Warsi will still attend Cabinet in her role as Foreign Office minister – but what does the number of women at the top table tell us about the prime minister’s women problem?